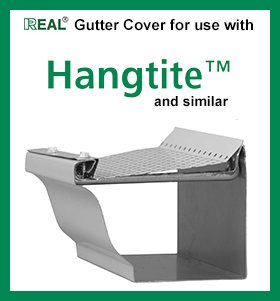 Raytec started to manufacture gutter cover as a response to popular demand. Millions of feet have been installed throughout the country. Installers find it easy to install and profitable, while their customers find it effective. It is a Win-Win. More holes per square inch than most others. Easily notched and formed in the field for tight, custom fit to deter pests. Available in Aluminum painted white, brown, or black, and un-painted mill finish. 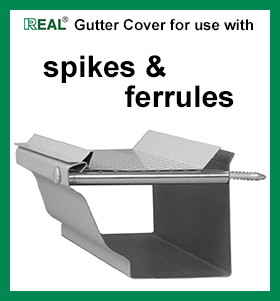 No gutter protection product is 100% effective, 100% of time in 100% of all regions of the USA — but for the “real world” with “real expectations.” Try REAL® Gutter Cover by Raytec . 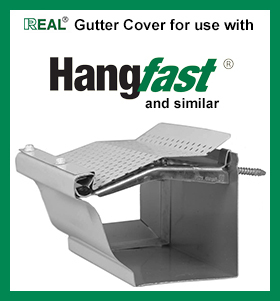 All gutter covers are 48-1/2 inches long. Not boxed Skid 10,000 ft.